The Corporate Office for Vac-Alert Industries is located in Vero Beach, Florida, with an additional administrative office located in Santa Rosa, California. Vac-Alert Industries first incorporated in 1997. The original prototype for our life-saving product was conceived in 1996 when one of our founders read a newspaper article about a 6-year old boy who was trapped by the suction force at the drain in his backyard spa. 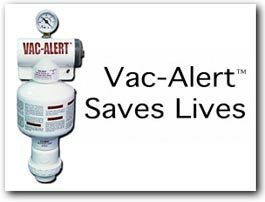 First patented by Kevin Mulvey in 1997, and constructed by Marv Ruschell a master machinist, Vac-Alert began production in 1997 of its Safety Vacuum Release System (SVRS) in Ft. Pierce, Florida. The first units were primarily sold to commercial applications in Ohio, South Carolina and Texas. Over the years, engineer George Pellington, along with Marv Ruschell and Kevin Mulvey continued to work diligently on perfecting the Vac-Alert SVRS, resulting in a number of new patents. Paul Pennington became president of Vac-Alert Industries in 2000. The company has enjoyed considerable growth in recent years, reaching out to North America and many other parts of the world. In 2007, the Virginia Graeme Baker Pool and Spa Safety Act went into effect. Paul Pennington and the Vac-Alert team worked diligently to promote this life saving federal legislation. Designed to prevent the tragic and hidden hazard of drain entrapments and eviscerations in pools and spas, the federal law requires all public pools to install layers of protection that will guard swimmers against suction entrapment. This law was a victory for pool safety advocates, parents, and communities everywhere. 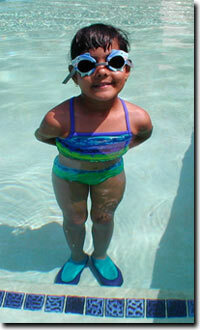 Vac-Alert has been highly active with the Pool Safety Council since its inception in 2005. Dedicated to overall pool safety and the prevention of child drowning nationwide, the PSC is supported by many diverse groups: from pool safety experts and individuals impacted by pool-related injuries, to pool owners and leading pool safety equipment manufacturers. There are over 100,000 Vac-Alert SVRS products operating in the world today.